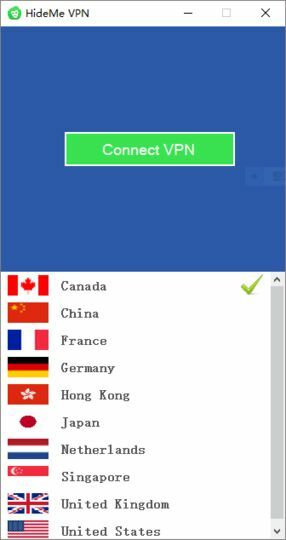 HideMe VPN is a free VPN tool that lets you change the location viewable by remote servers. It offers free servers in countries all over the world, allowing you to mask your real IP address from remote websites and services. This allows you to overcome geoblocking with certain services. It also can help to avoid state surveillance and censorship in some cases. You do not need to register or login to use HideMe VPN.